The first documentation of the club was an article on the new bicycling “boom” in the Wilmington Star News on May 25, 1972. In it, Jim Cobb explains his interest in cycling, compared to traveling by car: “on a bicycle, you experience hot and cold, wet and dry, sights and sounds; you are part of the world around you.” He had previously lived in a town with extensive cycling facilities, and thought that Wilmington was a great place to have them. He and others in the club became advocates for bicycle safety, and spoke up for new bikeways, including a connection between downtown and Greenfield Lake, working with the city government to gain approval. The club’s advocacy paid off. On June 13, 1972, Wilmington City Council authorized scenic bikeways in Wilmington, and the placement of route and crossing signs marking them. Then on Sunday November 19, 1972 a dedication ceremony was held at City Hall opening the bikeway to Greenfield Lake. Councilman Ben Halterman (later mayor) read a proclamation signed by Mayor John Symmes naming that day as Safe Biking Day in Wilmington. This was followed by an inaugural ride of the route by the club. Photographs by Terry Benjey were used in the November 20, 1972 Star News article documenting the event. The club’s first “official” meeting was on August 12, 1972, documented by minutes in our archives. At that meeting, and succeeding ones, the club established its organization similar to ours today – officers, board of directors, and committee chairs including Program, Education, Safety, Youth, Civic Action, Newsletter, Publicity, Activities, Racing, and Sag Wagon. By-laws were written. The club named their colors (Forest Green and Gold) and designed a club patch. It joined the League of American Wheelmen (LAW), now League of American Bicyclists, and members began to receive LAW patches for their rides. The monthly newsletter (initially called the Spoke) published the schedule of on upcoming rides and races, and results of past ones. More articles appeared in the Star News on the club’s rides and races. Arrangements were made for Jim Cobb to appear on a popular local talk show on TV (Jim Burns show on WECT). 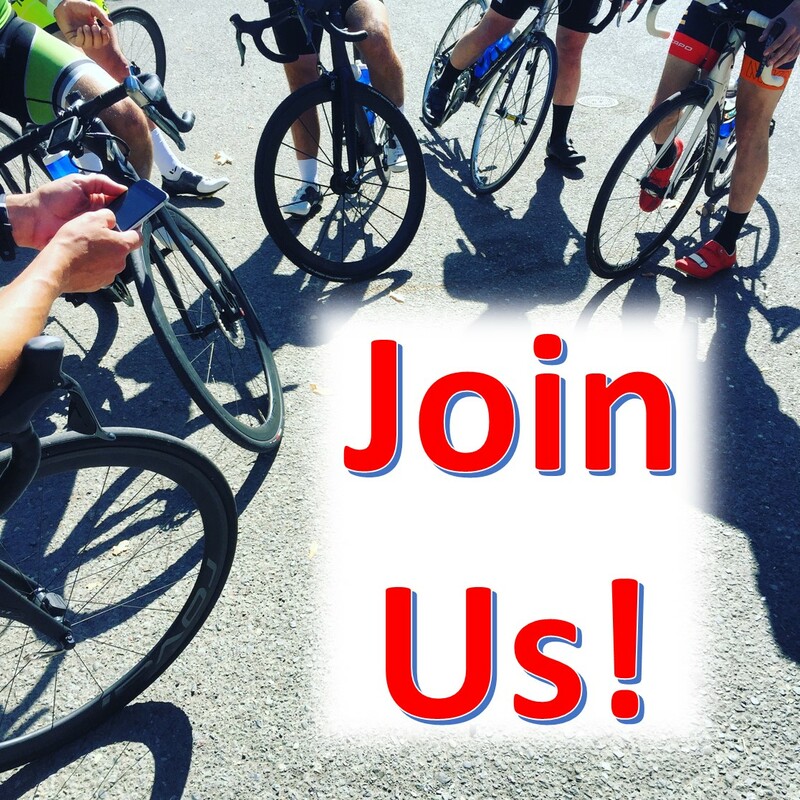 The club developed a schedule for weekly rides for all levels, from those training for races to those out for a leisurely ride. Centuries were common, including twin centuries (to Fayetteville on Saturday, and back on Sunday), and a double century (starting at midnight with one hour rest in between). Weekly Wednesday night time trials began on the road from Castle Hayne to Hampstead. The club was off to a strong start. More members joined, and the club incorporated (in 1976). They joined the ABLA (Amateur Bicycling League of America), which later became the US Cycling Federation, in order to be able to hold sanctioned races. They started Azalea Festival Races, and held the NC Time Trial Championships. Advocacy continued. Jim Cobb was appointed to the NC Governor’s State Trails Advisory Committee. Meetings were held with Isabel Holmes, of the NC State Highway Commission, to push for bike lanes. Toward the end of the decade, the club began to loose steam. Jim Cobb moved away. Others got new jobs that required more of their time, or went out of town to college. The last minutes in the archives from the 70s are from 7/20/1977. Many members probably kept riding, but the organization had come to a temporary halt, to be revived and continued in 1980, so the hard work of the 70s was not lost. Jim Cobb started the club, and served as its first president, and chair of Civic Affairs. His two daughters, Lisa and Julie were also members. Terry Benjey was the first vice president, its first Activities chair and organized many of the club’s rides and centuries. He was the first to suggest that the club incorporate. Terry was appointed by Governor James Hunt to the Inaugural NCDOT Bicycle Advisory Committee in 1978, the period that the NC Bicycle routes were laid out. The NCDOT Bicycle Program started in 1974 with Curtis Yates at the helm. (Terry dropped out of the club and reduced his cycling mileage when he started his own company and suffered some injuries, but has returned in 2001 and is now very active again). Alan Perry was the first racing chairman, and later was president and newsletter editor. He was a key player in the club’s restart in 1980, and was very active through most of the 80’s. The Alan Perry Time Trial Trophy was awarded to the most improved time trialer every year from 1983 to 1995. It is still in the archives. Bob Knapp was an early member, along with his children, Jim, Carol, and Norma, and wife Kathy. Bob was the first Sag wagon chair, and Jim was the first Safety committee chair. Jim did a 1976 cross country Bikecentennial ride. Harriette Wagner, husband Billy, and daughters Debbie and Becky were also early members. Becky was on the first board of directors, and was the Youth Committee chair. Becky did a 1976 Bike centennial ride, meeting Jim Knapp at a midway point. Harriette was on the board of directors and a Sag wagon chair. Tom Davis was on the board of directors, and later president. Helen and Al Hinn, along with children Al Jr. and Andrew were members. Helen and Al were on the board of directors, and Helen coordinated the incorporation of the club in 1976. Ken Wallace was a racing chairman, and very active in the early racing scene. Jim Mincher joined in the middle of the decade, and quickly became newspaper editor and member of the board of directors, and is listed as such on the original incorporation papers of 1976. Jim remained a key member through the 80s and 90s, as board member and treasurer, and is still a member today. He may have the longest continuous reign of any member of the club. Although the club of the early and mid 70’s was very active and healthy, official meetings ceased to be held later in the decade. The club had fallen dormant. Its return was inspired by Alan Perry, the 1974 president. The success of the first Wrightsville Beach Triathlon convinced Alan that cycling was still very popular, and that the club could be started up again. A Star News article (Nov 29, 1979) about Alan’s cycling and enthusiasm in bringing back the club for all kinds of riders, also helped bring attention to its return. Formal meetings started again in 1980, with the election of Alan Perry as the new president. Although the presidency was turned over to three other in succession in 1980 (Rick Edwards, then Bob Williams, then Doug Greene), Alan returned as president for 1981, and then 1986, and was very important for its successful return. Organized rides started again. The club held races such as the Riverfest Criterium, and 10 mile time trial. The Star News again featured stories about the club, its events, and its members, including Bob Jamison, Buddy Fincher, and Jim Mincher. The 10 mile time trial was shown by channel 6 on its 11 O’clock news. The club also returned to its participation in bicycle advocacy, participating in the first Wilmington/New Hanover County bicycle plan. Both Terry Benjey (the 1974 vice president, and a member of the NC Bicycle Advisory Committee), and Jim Mincher (club board of directors) participated in the planning committee in 1982. So again, as in the early 70s, the club was playing an important role in promoting cycling in the greater Wilmington area. It continued to do so though the next two decades through the efforts of many, especially the presidents. Other than those mentioned above, they were: Kathy Dikeman (1982), Bob Jamieson (1983), Kevin Drehmer (1984), Jim Polson (1985), Richard Tamisea (1987, 1988), Lisa Haines (1989). Kim Sawrey (1990), Paula Drake (1991, 1992), Charles Kernan (1994, 1995), Brent Maynard (1996), and Chris Smith (1998, 1999). Unfortunately, Chris Smith had to resign, leaving the club suspended in 1999. As before, it was revived again in few years, this time becoming the club we have today. This story will be told in a later chapter. So much happened during the 80s and 90s, that it is impossible to cover it all here. The following are just a few highlights that represent the strength and vitality of the organization. In addition to participation in the Wilmington/New Hanover County Bicycle plan mentioned above, the club helped run the Wilmington Bicycle Festival in 1982 and 1983. The club made contact with the NC DOT Bicycle Program, inviting them to an annual dinner to speak on the new NC Bicycle Routes. Rick Edwards, briefly President in 1980, became the Assistant Bicycle Coordinator for the program in 1981. The club helped start the Wilmington/New Hanover County Bicycle Advisory Committee (BAC) in 1984, headed by club member Bob Jamieson. The BAC was the forerunner of the existing WMPO BikePed Committee. Joe Huegy, a club member (and Wilmington planner), led the first “River to the Sea Ride” in 1985, along a bicycle route being planned by the BAC. The club started an “adopt-a-highway” cleanup in 1989 on a section of Holly Shelter Road then used for club time trial races. The cleanup was an initative of Rich Tamisiea, the 1988 president. In 1991, it was moved to River Road, where it continues to this day. The club helped promote the Burnt Mill Bikeway which was, unfortunately, voted down in 1992 by Wilmington City Council after being called a potential “Corridor of Crime” by Councilman Hamilton Hicks, who lived near the proposed route. Many articles appeared in the Star News about the club and cycling. Some are still preserved in the club archives. One in 1983 featured club member (and later president) cardiologist Dr. Richard Tamiseia, in an interview about the benefits of cycling for a healthy heart. Many articles were written by Mary Ellen Polson, a club member who was also a reporter. She described her bicycle trip though France with her husband Jim in a 1987 article. In 1988 she wrote one about cycling into shape, and the new routes being planned for the area, and in another, wrote about cold weather cycling featuring a large photograph of club member Dave Allen in his cold weather gear. A 1990 article appeared about ways to prevent bicycle injuries, quoting from club members Jim Mincher and Dr. Richard Tamisiea, who at the time was Safety Coordinator for the club. Clarabel Thomas, a club member, started the famous “Clarabel’s Ice Cream Rides” from Whiteville, held from 1984 though 1998. She provided 3 gallons of home made ice cream for those who finished the ride, and donated the proceeds to charity. In 1993, Clarabel was awarded the volunteer service award by NC Governor Jim Hunt. Clarabel was then 76 years old. As in the earlier years, many members were racers, so bicycle racing was a prominent part of club activities. A large part of the early support for racing came from Jim Mincher, 1981 racing chairman of the club, and owner of the Two Wheeler Dealer, who helped support racers who wished to race in state and national races. News articles helped publicize some of those racing for the club. A 1985 Star News article profiled club member Dave Allen, one of those racing in the masters division in the state. He placed second in that category in 1984. Dave acknowledged Jim Mincher’s support, calling him a guiding light for cycling in Wilmington. Mark Dodge, Tony Ivey, and Joe Butler, were also mentioned as some of the competitive ones among the approximately 20 racers in the club. A 1983 Star News article featured Sally Mincher (now Sally Meserole), and her successes in racing. She had come in second in the State time trial championships, giving her a berth in the National Championships, and a chance to race against the best in the country. A 1990 Star News article featured club member Chris Blake, and Laney High School Senior, who won the state time trials for the 17-18 age category. Another 1990 article included interviews with participants of the club’s 10 mile time trials – racers Frank Williams, Sue Rachunok, and Alex Rachunok, and starter Ed Blake. Other club racers mentioned in various articles were Karl Sutter, John Williams, John Browning, Frank Sproul, Bill Curry, Ken Mayhew, Jim Dockal, and Andrew Hinn. A racing jersey used by the club during this era is still on display at the Two Wheeler Dealer. At one of the club meetings in 1982, Albert Sikes described a racing training program he attended in Florida, learning from Italian professional Francesco Moser, a Giro d’Italia winner. Bi-weekly time trials were held first on Holly Shelter Road, near the Ideal Cement Works; in 1992 they were moved to River Road. The Alan Perry Cup was established in 1983 to honor the most improved time trialer. The Cup still is in the club’s archives, with the names of the annual winners from 1983 through to 1995 attached. Other races included a 27 miles road race in Porters Neck, a 48 mile Mothers Day race, races at Riverfest (a criterium road race, and a time trial), and the Bi-the-River biathlon (with a 3.1 mile run, and 15 mile bike ride). The club hosted the state championships for the time trial and road race in 1981, and the state time trial in 1989. Off road races started in 1993, on what was called the “Muddy Dungeon Course” close to Sidbury Road. The senior games also provided an opportunity to race competitively. Rich Tamisiea is still listed in the top 10 best results in the National senior games for 3 categories (5K and 10K time trial, and 20K road race, age group 60-64) from his 1999 participation in the games. Perhaps the most unique event was the Ride and Tie, a 10 mile social event held with the Wilmington Road Runners. Two participants would make up a team, one riding, one running, changing places at least 4 times during the 10 mile event. special themes became popular, and were held year after year, like the Moonlight Meander, the Spring LAW Century, the “Hot 100” century ride held close to Labor Day (starting in 1990); Loop the Beaches, and the “Neighborhood” rides. The rides naturally formed groups of those of similar ability and speed, like the “middle of the road” group, providing fun rides for all. Many rides started in Empie Park. Others started from Wilson’s market in Leland, and the Tasty Pig Grill, across from Paul’s Place in Rocky Point. The club also held “fat tire” rides in the Holly Shelter Games, and the southern end of Eagles Island. Rides put on by other organizations were also popular. One of them was the Randonneurs, an organization that holds long rides (Brevets de Randonneurs) as qualification for the Paris-Brest-Paris ride in France. Rich Tamisiea participated in 200K to 600k brevets in 1991. The brevets had time limits so a lot of night riding was required. The many members who participated in non-racing rides were a very important part of the club, providing a strong balance to its racing culture. Although the racing and touring parts of the club were usually on friendly terms, one event found them on opposite sides in 1990. The racing team had found an opportunity to gain sponsorship from the Hooters Restaurant, if the club agreed to hold meetings at the restaurant and add a Hooters logo to the racing jersey. A Hooters ad even appeared in one of the newsletters. Many non racers became bitterly opposed. An open letter to the club from Susan Bondurant (a copy is still in the archives) helped consolidate the fight against the sponsorship. In 1988 Carol Knapp and Tony Ivey were married. Their wedding announcement in the newsletter included an invitation for all club members to attend. Carol was a member of one of the founding families of the club and served as secretary and treasurer in 1981, social chairperson in 1983, touring co chairperson in 1984 and 1988, and racing co chairperson (with Tony) in 1986. She also had done a USA cross country ride in 1982 (east to west) in a group with club member Andrew Hinn. Tony was a prominent club racer, and served as racing co chairperson in 1984, 1985, and 1986. From the beginning the club had a newsletter, with monthly information of past races and events, schedule of new ones, and a forum for comments on issues. It was first called The Spoke, which ran from 1972 through to 1977. (An October 1974 issue was called “the Spook” as a Halloween joke by Alan Perry). It started again in 1980, this time called the Cape Fear Cyclists Newsletter. Although new editors occasionally changed it (Bicycle Writers, Human Powered Report), the name remained until 1993 when it became Cycle Therapy, which lasted through 1999. Editors included Alan Perry (1974, 1976, 1981, 1987, 1988, 1990), Norm Robinson (1993-1996), and the Poulsons (Jim in 1985, and Mary Ellen in 1986) among many others. The last issue in the archives is Nov. 1999, with articles by Norm Robinson, Chris O’Keefe, Bethel Paris, and Sharon Bittner. The transition to a webpage began in 1998 with William Fridrich as webmaster. He started it on charweb.org then moved it to fridrichdesign.com where it remained until the reorganization of the club a few years later. The archives were established by Charles Kernan, president in 1994 and 1995. As an author and historian (Cycling around Wilmington, 1994; Rails to Weeds: Searching out the Ghost Railroads in Wilmington, 1985/1995), Charles recognized the benefit of preserving the club’s history. He collected scrapbooks, photographs of club events, newspaper clipping, newsletters, minutes, event flyers, and packaged them in plastic bins in the club storage shed outside the Two Wheeler Dealer. Some of the scrapbooks are said to have had already been put together by Sarah O’Brien, 1976 club secretary. Others have probably contributed to them. These collections have provided invaluable information for the writing of this history. The club should ensure that these archives be preserved and maintained, so that this story can continue to be told long into the future. After the president resigned in 1999, there are no records of official club meetings for 4 years. The archives are bare, save for agendas of two attempts at reorganization, one in late 1999, and one in 2002. Both failed. Official club operations had come to a stop, although weekly rides, time trials, and informal meetings were still being held. This period ended with a successful reorganization meeting on February 26, 2004. New officers and chairpersons were elected – David DuMond (President), Chris Halkides (VP and Secretarial Administrative), Terry Benjey (Treasurer and Membership), Jeff Eng (Webmaster), John Meyer (Public Relations) and Bethel Paris (Events). David DuMond and Bethel Paris deserve a lot of credit for making this reorganization happen. David provided just the right balance between the racing and non racing communities. Bethel had been very active in organizing rides and enlisting ride leaders. Both joined the club in the late 90s while it was still “official”, and both shared a strong passion in bringing the club back to life. The balance in the treasury as of 1999 was restored, and a new website (capefearcyclists.org) was launched by Jeff Eng, using the logo from William Fridrich’s earlier website. By June 2004, the club had 50 members, by that fall, 70 members, and by the end of the year nearly 100. The club was on its way again. The years since then have been very successful, with leadership coming from a number of presidents – Bethel Paris (2005-2006), Al Schroetel (2007-2008), Steve and Mary Ann Mangiacapre (2009 – 2010), Craig Mann (2011), and Eileen McConville (2012- Present). Some of the highlights from this period follow. The number of members of the club since its beginning had always been around 100, sometimes more (e. g. 159 in 1988), sometimes less. Remarkably, the newly reorganized club expanded way beyond earlier numbers. In 2006 it went over 200, in 2007 over 400, where it has stayed to this date. This is due to a number of factors, no doubt, like the increased population, but may also be due to an increased awareness that the club is an advocate for building a safe environment for all cyclists, and that membership helps advance that cause. The club helped bring the East Coast Greenway (ECG) to the Cape Fear Area. Marilyn Meares was the first club liaison, followed by Bethel Paris. The club helped establish the greenway routes through our area, including the part around Greenfield Lake. Club members joined the inaugural BikePed advisory committee set up by the Wilmington Metropolitan Planning Organization (WMPO) in 2006. The voting committee members represented each of the counties and municipalities within the WMPO area (all of New Hanover County, Northern Brunswick County, and Southern Pender County), plus a representatives of the NC DOT. In 2012 the club itself gained voting privileges. This committee worked with the City of Wilmington to assist in the establishment of the Cross City Trail and the Ann Street Bicycle Boulevard, two important new cycling facilities in the area. The club worked very closely with the City to conduct a series of events inaugurating the Ann Street Boulevard. The club also assisted the BikePed committee in conducting the annual “River to the Sea” Rides in May. The club helped establish the West Pender Rail Trail Alliance, started by Susan Bullers. Its goal is to convert an abandoned railroad right of way in western Pender County into a trail. The club also helped form the NC Active Transportation Alliance (NCATA), a statewide advocacy organization promoting non-motorized transportation choices in NC. Al Schroetel became a board member of the NCNTA in 2008. The club also participated in the Leland Bike Plan and the Cape Fear Commutes transportation plan. Annual rides were established as a source for new members and funds for donations. These included an information booth and fun rides started by Al Schroetel in conjunction with the NC Blueberry Festival in Burgaw NC. The fun rides were later expanded to become the “Tour de Blueberry” which had over 250 participants in 2012. Another very successful ride was the Hot 100 Century, brought back by Steve and Mary Ann Mangiacapre from a club tradition in the 90s. Proceeds from these rides have gone to many causes like the East Coast Greenway, West Pender Rail Trail Alliance, scholarships for cycling instructor courses, the Cystic Fibrosis Lifestyle Foundation, and the New Hanover Regional Medical Center Hospitality House. The club supported the Police Unity tour, a ride to Washington DC benefitting fallen police officers, through participation (George Perkins and Stafford Brister) and duathlons. Other rides set up for specific charities were Cycling for Canines (Carolina Canines), CanBike (Pink Ribbon Project), Ride for Life (cancer research), and the Wounded Warrior Soldier Ride. The club received a 20 year award for its “adopt a highway” cleanup on River Road in 2008. Rich Tamisiea had been instrumental in starting the cleanup while president in 1988. He even did it himself when necessary, until Al Schroetel and Eileen McConnell took it over in 2005, so that the club’s participation remained unbroken. The club also won first place in the non-commercial float in the 2008 Wilmington Holiday parade, with a lot of the credit going to Erol and Leslie Caglarcan and Steve and Mary Ann Mangiacapre for work on the float and organizing the participation. Volunteers from the club also helped with other athletic events, like the Battleship Marathon, Beach to Battleship Triathlon, the Wrightsville Beach triathlon, Wilmington YMCA Triathlon, and the Senior Games. A highlight of the club’s presence in the community was a “Cape Fear Voices” article in the Star News (written by Bethel Paris and Al Schroetel, president and vice president). It addressed a problem that continues to this day …more traffic, more cyclists and not enough safe bike paths and lanes… and asked for all to help share the road. It was an excellent response to an editorial a few weeks earlier about busy roads with cyclists “expensively dolled up in elastic shorts” in the way. A number of members were off road riders, and they helped establish new mountain bike facilities in the area. The Blue Clay Bike Park effort was started by Erol Caglarcan and Steve Mangiacapre, among others, and they received a $10,000 Bike Belong grant to support it. The park started with volunteer labor and materials provided by the cyclists themselves. They worked with the New Hanover Parks and Recreation Department to establish it as an official County Park, which finally happened in 2008. Then they worked with Brunswick County to include incorporate off road cycling facilities into the plans for the newly established Brunswick Nature Park. With the growth of off road members, it became clear that a separate organization would better fulfill their objectives. Barry Wray and Erol Caglarcan found an opportunity with SORBA, the Southern Off Road Bicycling Association. Late in 2009, the off road group formed the Cape Fear Chapter of SORBA, although many members still remained as members of the Cape Fear Cyclists. A high number of serious bicycle accidents brought to light the danger of cycling in the area. These included a serious head injury on Market Street, a fatality on Eastwood road and three fatalities on River Road. All cyclists were following the rules of the road. The club contacted the District Attorney’s office to urge speedy and appropriate prosecution of the drivers who hit the cyclists and attended some of the court dates. The club also passed a resolution, signed by Craig Mann, President, asking that NCDOT, New Hanover County, the City of Wilmington and the WMPO BikePed Committee work cooperatively to take recommended actions that will enhance cycling safety. These accidents increased the spotlight on the club’s Ride of Silence, an annual event to remember those who have been injured or killed while bicycling. The club’s first Ride of Silence was in 2005, and has continued each year since then. As part of a safety plan by the club, it sponsored scholarships for members who wished to become League of American Bicyclists certified instructors (LCIs), who then would be available to train cyclists at special events. The first instructors were Bethel Paris, Jess Frank, and George Perkins. The club partnered with the city of Wilmington to hold bicycle education classes on the Ann Street Bicycle Boulevard. The club also helped on many bike rodeos to introduce children to safe cycling. Erol Caglarcan set up a bike incident data base on his Sir Bikes A Lot web page to have a convenient place to view data on bicycle accidents in the Cape Fear area. In the early part of this period, Gabe Salinas and Phil Humbert held time trials on River road or on the Porters Neck loop. These were held before the reorganization, and continued afterwards to at least 2006. At the urging of Dave DuMond and Jim Mincher, the club organized new racing events in 2008, Al Schroetel and Terry Benjey began with a USA Cycling sanctioned road race (a criterium) in conjunction with the 2008 Blueberry Festival. To help club members prepare, Gabe Salinas conducted race training sessions before the race. It was an exciting day of racing, with many in the club participating. However, because of the huge amount of work involved, a net loss in revenue for the event, and the lack of volunteers to continue the effort, the club abandoned attempts to hold more sanctioned races. The club also held non sanctioned time trials on Shaw Road in Rocky Point later that same year. The first two time trials were successes, but the third one was cancelled due to lack of volunteers to organize and conduct the event. The club has not held any road races since then. Off road races like CanBike were held at the Blue Clay Bike Park, and more recently the CF SORBA club has held them at the Brunswick Nature Park. A lot of new road rides began during this period. One of the most popular is Flaming Amy’s Burrito ride. It was started by Alise Rocks before the reorganization, and then continued under Terry Benjey, and later Frances Bullard. Bethel Paris initiated a slower paced ride for Tuesday Mornings, as a well as a Sunday Social Excursion, later called “Spokes Folks”, a ride for beginners and those with families wanting a safe cycling environment. The club and the Wilmington Recreation Division started the Six-Park Metric Century, held annually since 2006, organized by John Absi. The all day “longest day” ride is held during the Blueberry festival by Terry Benjey, with ride options of up to 200 miles. Many weekly Saturday morning rides had more (or much more) than 50 riders, leaving from a variety of sites in New Hanover, Brunswick, and Pender county. Some even extended into Columbus, Bladen, Duplin, or Onslow County. Prominent examples are the Elwell Ferry tour, the internet tour through Willard Watha and Wallace (WWW), the Brunswick metric century, Bolivia to Sunset Harbor, Penderlea, Atkinson/Ivanhoe, Topsail Island/Sneads Ferry, and Lake Waccamaw, among others. Two new rides in Brunswick County were based on those created by Terry Pierce for the Brunswick County Pedalers. A “Last Gasp” Ride was started by Terry Benjey for Sunday afternoon. The “Coffee and a Roll…” Sunday morning ride from Greenfield Lake has been managed by Terry Benjey. More recently, Pete Poirier leads Thursday morning rides. The club has always had social actives and this period was not different. In addition to the Annual meetings, an annual spring picnic began. Singletary Lake weekends started with some members riding to the site. Cathy Pastore started Music at Mayfair and Friday night (cycling) movies. Many rides had social aspects especially the Flaming Amy’s ride, and any ride that allowed a stop at Britt’s donuts. The 2012 Fall Dinner meeting was a high water mark in these social events. Eighty-one Club members and their guests attended. It was also the Club’s 40th anniversary, so all of the founding members were invited and many of them did attend, and were introduced by Terry Benjey, himself one of the founding members. The guest speaker was District Attorney Ben David who spoke on his office’s successful prosecution of the Doolittle case following the tragic deaths of the father and son cyclists killed on River Road in April 2011. DA David concluded by detailing important law changes that have been passed since this tragedy to aid prosecutions in the future. If the past is any guide, the club will continue, but with some periods of ups and downs. What kept it going in the past should do so in the future – the right combination of dedicated leadership, a lot of volunteers who work behind the scenes to make things happen, and a range of activities for all kinds of cyclists, from the slowest to the fastest, the novice to the expert, and the youngest to the oldest. The obstacles remain. Traffic continues to grow. Any new road construction only invites more cars, and in some cases cuts off parts of the club’s bike routes (like Goodman Road in Leland). Developers are doing a better job in providing bike paths and lanes within their own developments, but the public roads to get there can still be dangerous. The Cape Fear Skyway is still a possibility, but without a bike path like the one on the Cooper River Bridge into Charleston SC, it will just become another obstacle. Working with NCDOT, the WMPO, and local governments will continue to be important, and the club is well positioned to do that. This is my last chapter in this history, and I hope that I have left something that others can contribute to in the future. This club has provided me with some of the best cycling experiences in my life, and I’ll never forget it.